Currey Lighting Maximus Collection 2-Tier rectangular chandelier uses five 60-Watt incandescent lamps. Candelabra base socket lamp has voltage rating of 120-Volts. 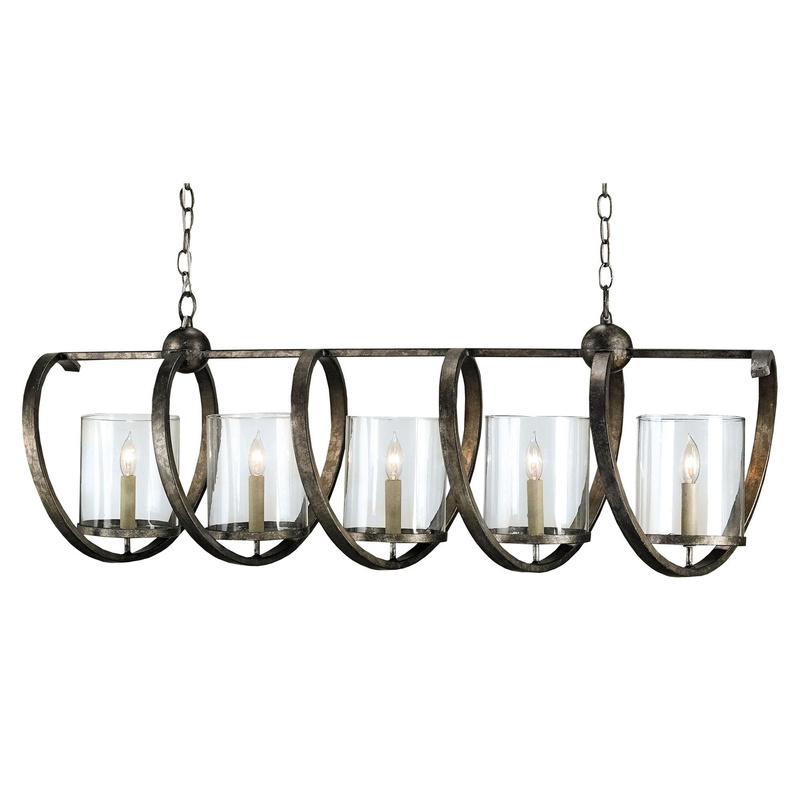 This contemporary chandelier has pyrite bronze finish and wrought iron/glass construction. Clear glass shade brings elegance to the home. This chandelier has 6-ft long chain/stem and 13-ft lead wire for hassle-free installation. It is ideal for damp locations and island/pool table area lighting.